How do I hide the Hangouts panel on Google Plus? 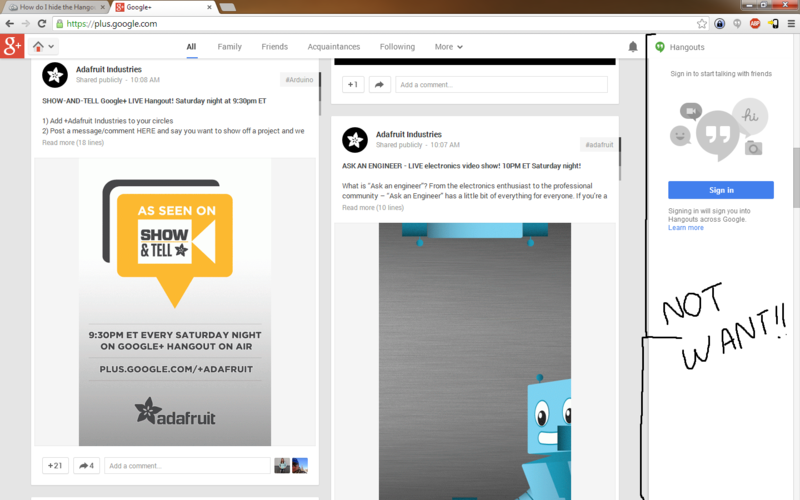 On the Google+ website (plus.google.com), the Hangouts panel appears on the right hand side. I already have the Chrome Hangouts extension so I don't need it there at all. Click on "Hangouts" at the top of the sidebar. I know this doesn't answer the original question, but I was redirected here while trying to remove the same "Hangouts" sidebar within Gmail. 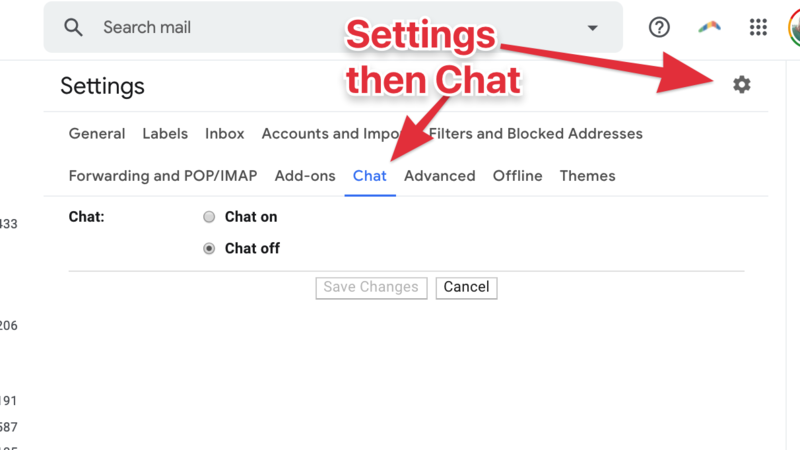 In case this helps anyone else, to hide the Hangouts sidebar in Gmail, click "Settings" > "Chat" > "Chat Off"
Hangouts: screensharing with face in the corner? Phone call on shared hangout account. How to mute everyone but myself on a Hangout?